Services | Quality Window & Door Inc.
We believe service, after the sale, is what wins our customers over the most. Over 60% of our business comes from referrals/previous customers. It is not only important to offer a high quality product but to have experienced installers do the job. When our customers call, it is important for them to hear a warm, friendly voice – no automated menus or systems. From our office staff – to sales representatives – to our installers – to our service tech’s, each will provide friendly, knowledgeable, and reliable service. 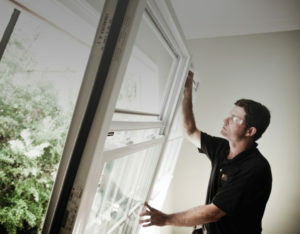 We service South Bend, Granger, Mishawaka, Goshen, Northern Indiana, Elkhart, Nappanee, Wakarusa, Mishawaka, South Bend, and Michiana with replacement and installation of windows and doors. Quality is capable of providing services for the Home builder/contractor, Architect, and do-it yourself remodeler. We have a knowledgeable sales staff that will work as a window and door consultant to find the perfect fit when it comes to your needs. We feel we are able to provide more attention to detail since we only sell windows and doors! It’s our specialty.